The American House Spider, or Parasteatoda tepidariorum (also known as the common house spider), is an arachnid similar in size and body shape to the Black Widow. Its bite has a similar toxin to the venom of the Black Widow, but much less potent. These spiders like to make their webs near human dwellings, such as in attics and open doors. 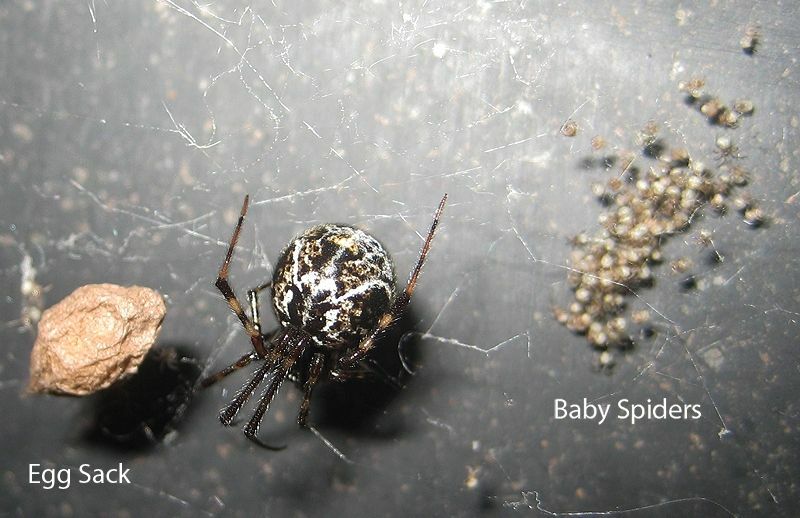 A single female American House Spider can produce up to 17 egg sacks in her lifetime, with each sack containing from 100 to more than 400 eggs.